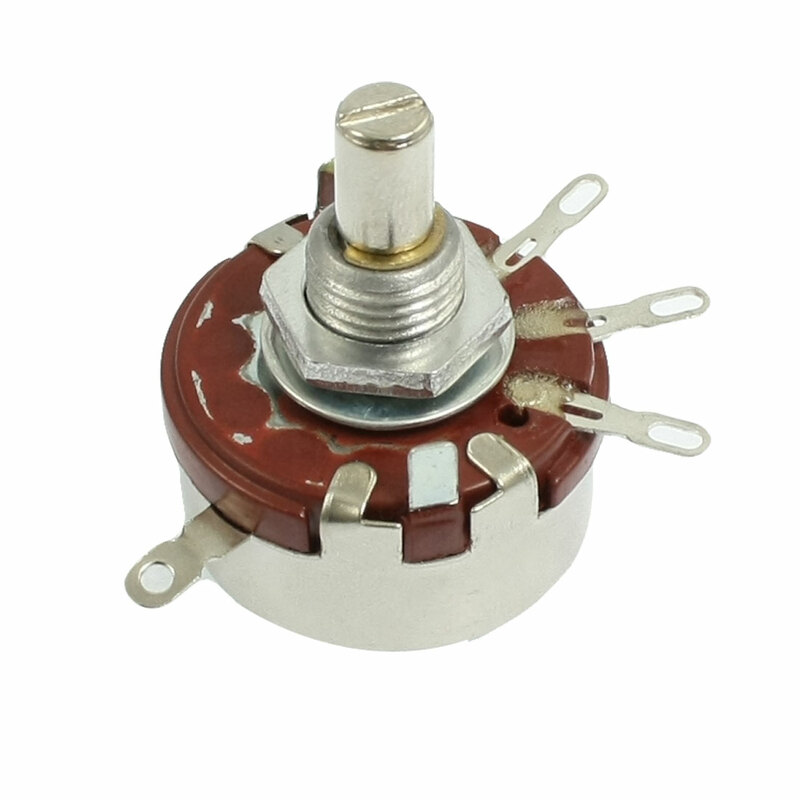 Features: 4.7K ohm, 3 Terminals, Single Linear, Suits Most Standard Knobs. Adjustment type and rotary shaft for easy operate in daily use time. Main used to control electrical devices such as volume controls on audio equipment. Rotary shaft with split design for push-on knob. Features : Rotary Shaft;Shaft Diameter : 6mm / 0.23";Shaft Length : 9mm / 0.35"
Mounting Thread Size : 9.8mm / 0.39";Base Height : 10mm / 0.39";Base Diameter : 27mm / 1.06"